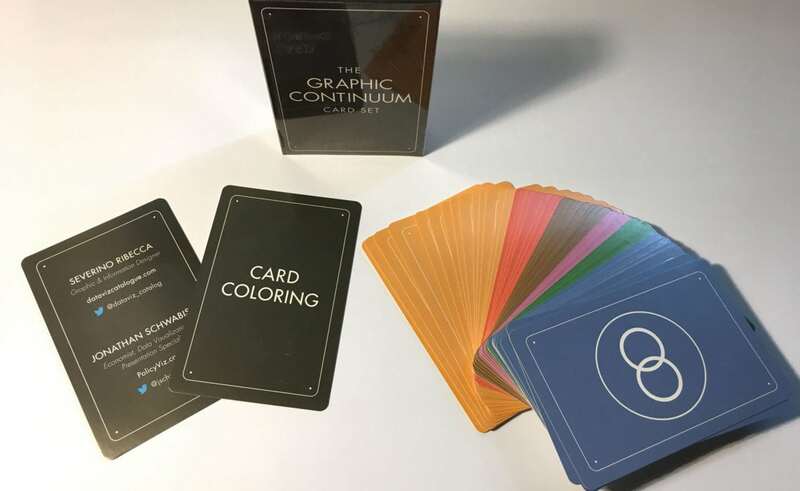 Everything you’ve come to know and love about the Graphic Continuum is now available as a set of flash cards! The Graphic Continuum—our library of graphic types—has been available in poster and desktop versions for about two years. It has helped countless people expand their graphic literacy and consider different visualization options for their data. For the past few months, Severino and I have been creating a card deck based on the Graphic Continuum project. Each card in this set of 52—each card is 3”x4.5”—contains an original image on one side and description of the graph type on the other. We’ve derived the descriptions from our own research and Severino’s Data Visualisation Catalogue project. 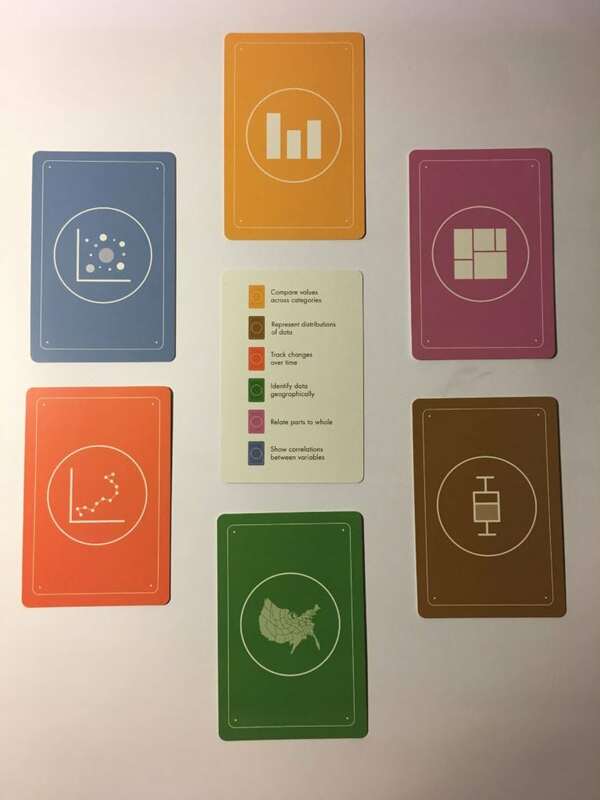 The cards are colored and categorized in our original 6 categories of Distribution, Time, Comparing Categories, Geospatial, Part-to-Whole, and Relationships. We felt that a set of cards would be useful for teaching, researching, or simply spurring your imagination. They are more portable than the poster and you can use them with your teams to work in a more analog way as you develop your data visualization ideas and approaches. As in the past, we haven’t captured every graph type, but we view this project as a thought-starter, as a way to consider different or alternative graphs for your data. But you can now play with your friends, move them around the table, and work with graphs in ways you haven’t done before. 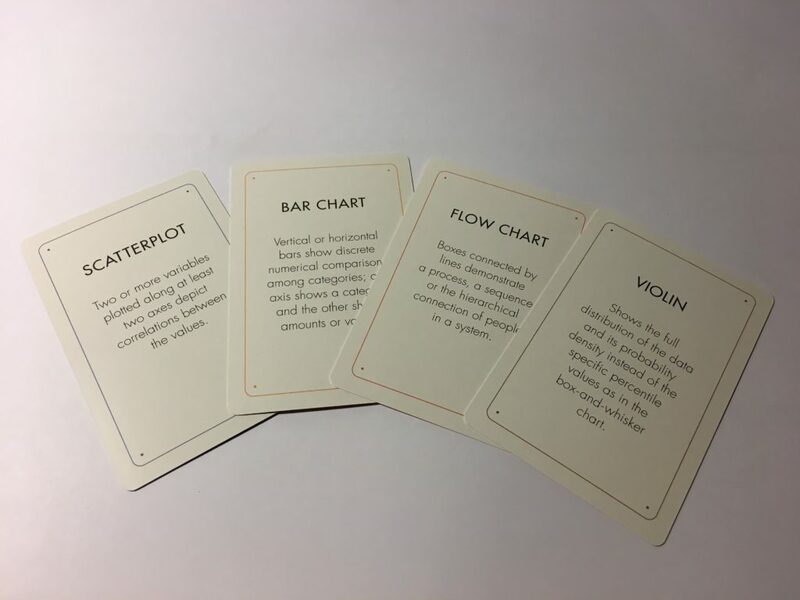 These cards are now on sale at my PolicyVizShop for $15 per set (plus shipping, which starts at $6 in the U.S. and $15 internationally). But there’s more! Oh, yes there’s more! We have added a few more graphs to the Continuum—the Waffle Chart, Bump Chart, Cycle Plot, and more. The Continuum (all three versions) now shows more than 90 graphs! We found a new producer, so that we can offer all three Continuum products at one site on the PolicyVizShop. More importantly, we are able to reduce shipping costs on the poster—previously, shipping costs for the poster started at around $25, but they now start at $6 for U.S. domestic shipping and $15 for international shipping. And now for the special offer. 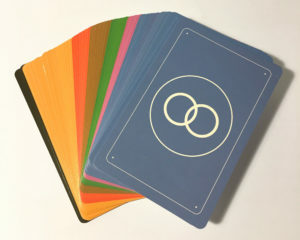 To kick off our release of the Graphic Continuum Flash Card set, we are giving away a set to 3 randomly chosen people. 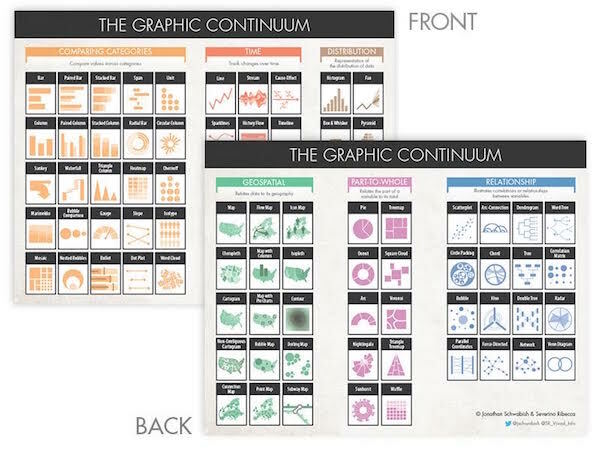 To qualify, take a picture of your Graphic Continuum in the wild—at your desk, on your office wall, or in a meeting. 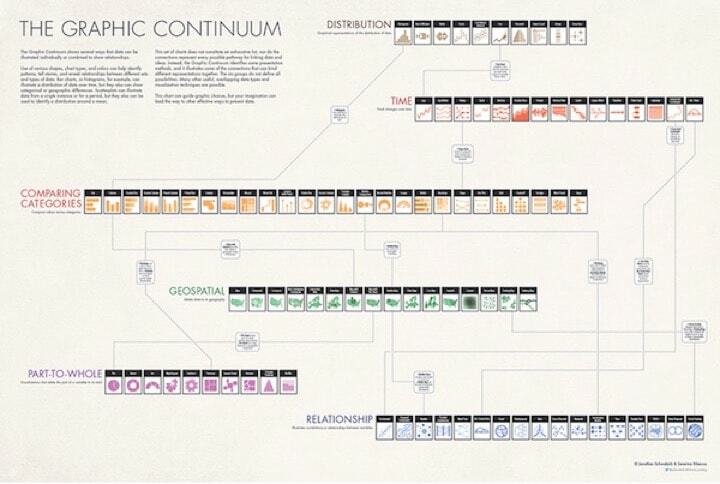 Tweet that photo to me (@jschwabish) with the hashtag #GraphicContinuum. On November 11, we’ll put all those names in a hat and pull out 3 lucky names to whom we’ll send a free pack of flash cards. We hope you enjoy these cards and find them useful in your work. As always, thanks for your support. Welcome to the New PolicyViz! I’m planning to order these.